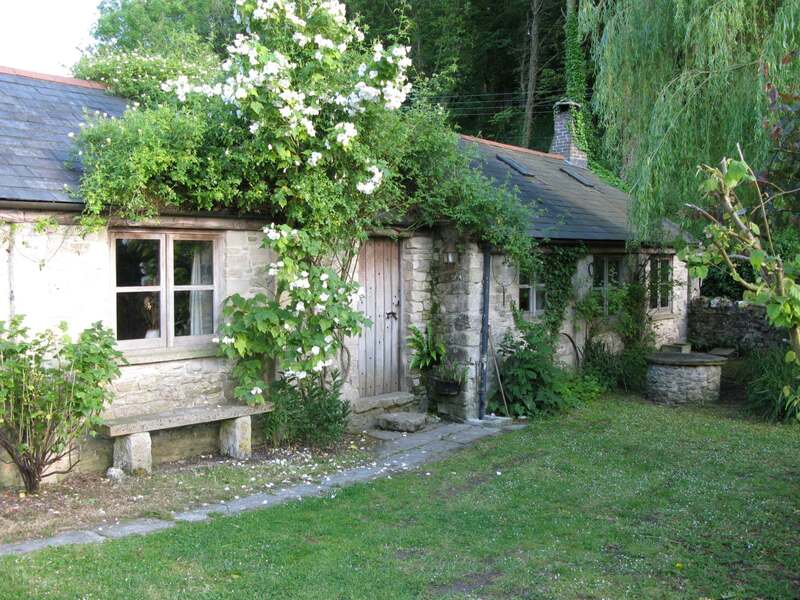 The Cartshed is available for weekly lets, and is located on a very quiet no through road in pretty Osmington village. It is ideally suited for walks to the white horse, and along the coast path towards Lulworth (E) and Weymouth (W). Clients have the added benefit of private parking at Eweleaze Farm for access to the secluded beach. Named 'The Cartshed', it has been converted from an old barn. 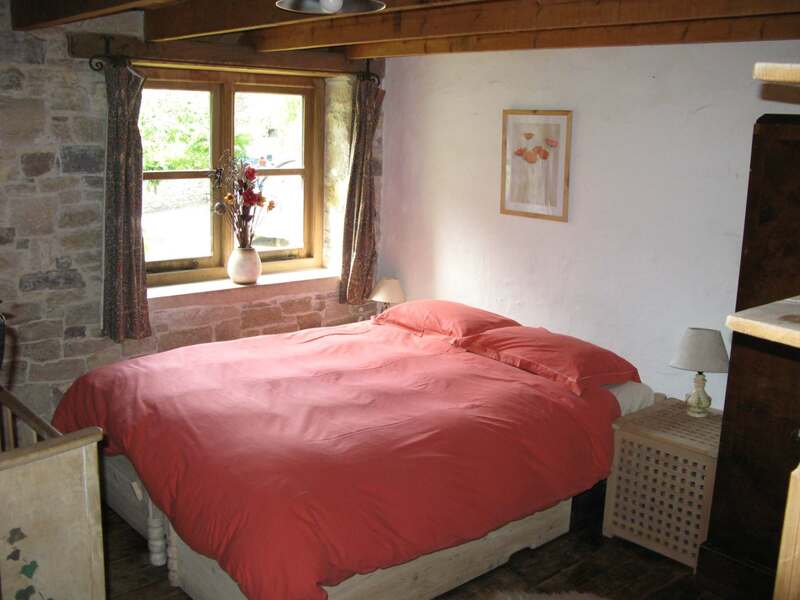 It retains a sense of history both inside and out, with its stone walls and flagstone floors. 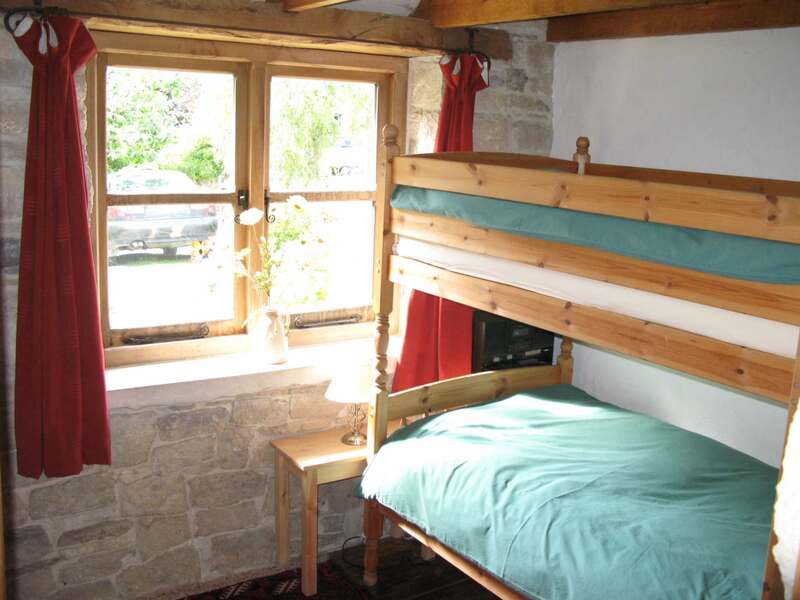 There is accommodation for six people plus a cot. NEW: The Cartshed now has a HOT TUB in the garden all inclusive within the rental fee. 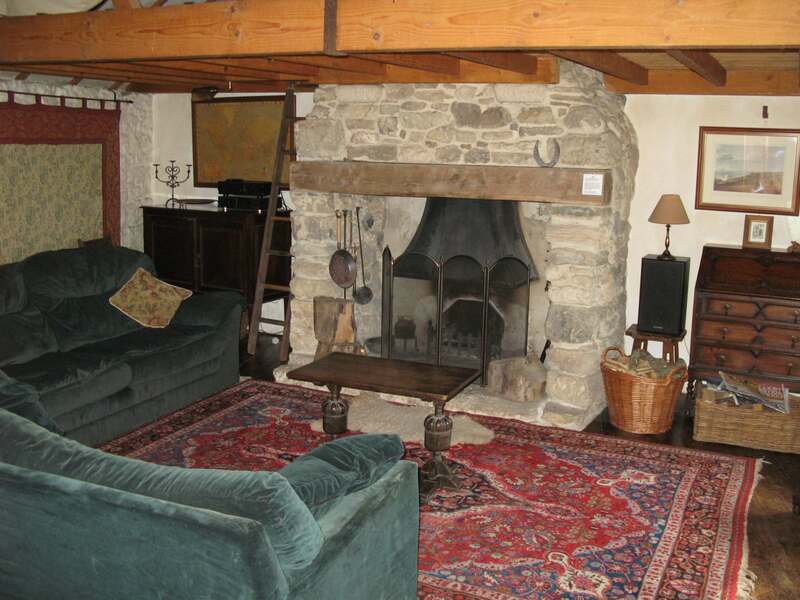 This is a spacious room, with a large open fireplace for which logs are provided. There is also: sofas, dining table, CD player, TV (Sky), DVD player, books, games and a writing desk. 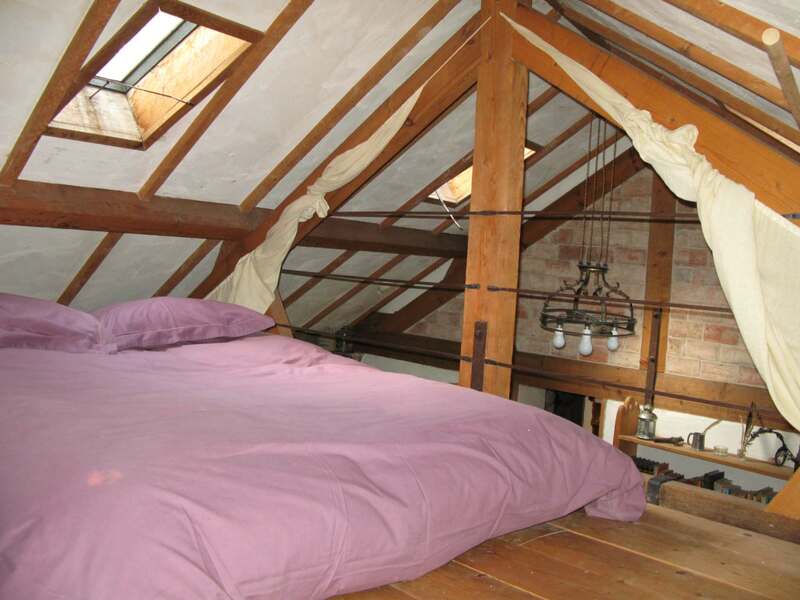 The room has a vaulted ceiling, and a mezzanine floor above the fireplace. This is accessed via a ladder to reach sleeping accommodation for two people - a double futon bed. The main bedroom has a king sized bed. Like the living room it has a polished wooden floor with hand made rugs. There is a cot available if required. The second bedroom has full sized bunk beds and plenty of storage. 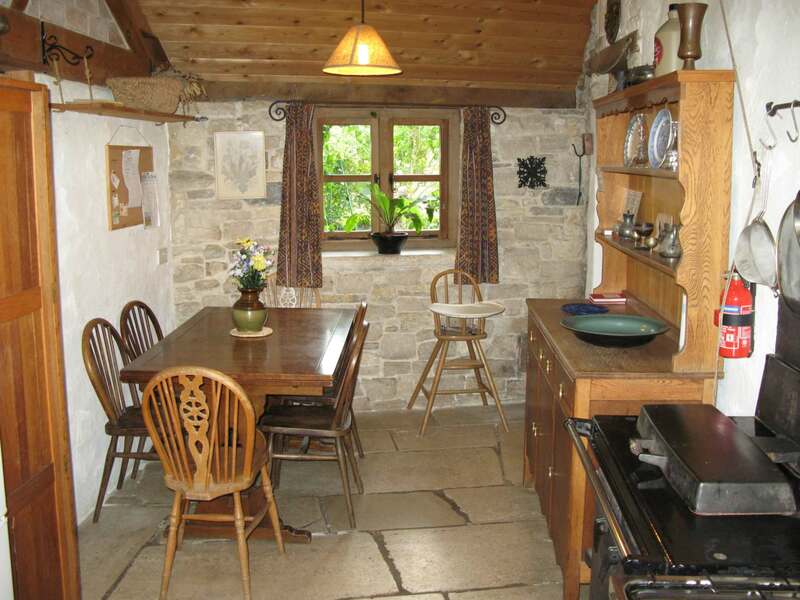 The large kitchen adjoins the living room, and has many traditional features including a stone floor, stone walls, oak furniture and a Rayburn. Logs are provided if required, although gas central heating is installed for the less rustically inclined! Other facilities include: gas cooker, fridge freezer, microwave, toaster, high chair, washing machine, iron & ironing board and an airer for drying clothes in the apex of the vaulted ceiling. 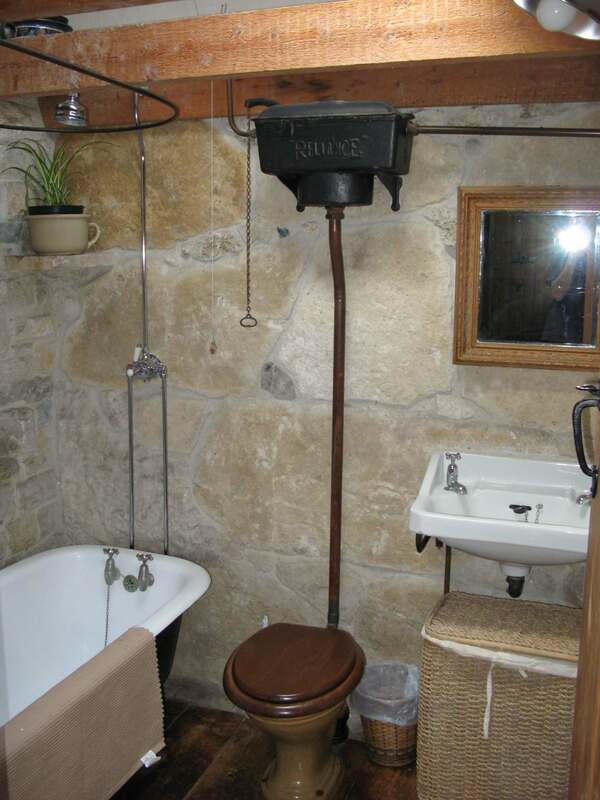 Like the rest of the cottage the bathroom has many unusual period features, including traditional bath and shower fittings. The front garden is enclosed by a stone wall and gate, and includes off road parking for two cars, a pond & stream (both guarded), and a swing for the kids (and the adults!). 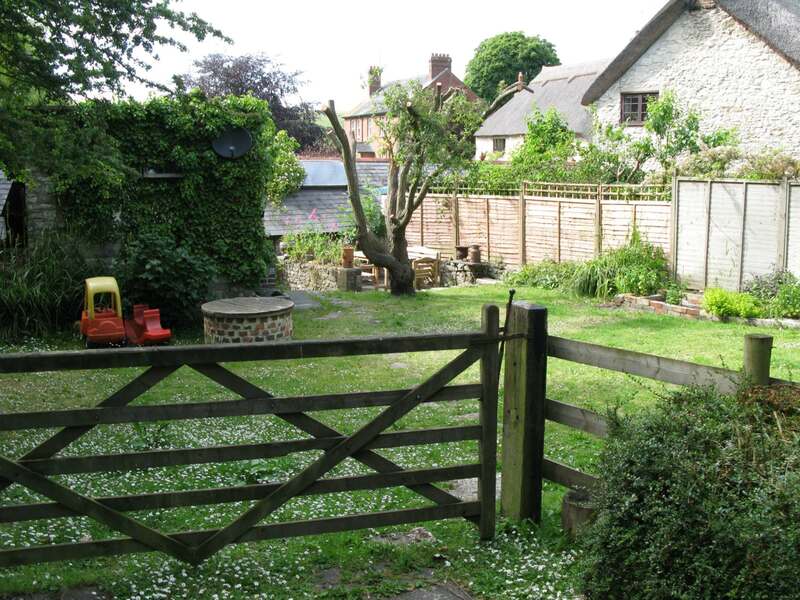 The secluded back garden (right) is enclosed with hedges, and has a small patio with seating and barbecue, a lawn area with clothes line, and parking for a further vehicle if necessary. Page generated in 0.14371 seconds.